Home events Call for Disconnect 3! 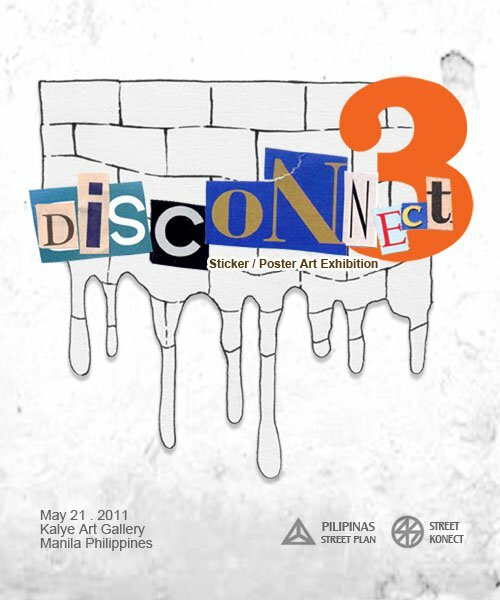 Disconnect is an annual event showcasing sticker art in its 1st & 2nd year. Now on its 3rd edition, we are expanding out our call for artists participation worldwide to send us your stickers and posters to be pasted up on walls. The exhibition opens on May 21, 2011 and will be held at Kalye Art Gallery in Manila Philippines. You can send us large scale posters and as many stickers as you want to be given away along the event. Deadline for Submission is on May 15, 2011.